A few fridays ago, I and Devin Martin of Sierra Club Delta Chapter walked the river to find coal and pet coke washing into the batture. On previous trips we had seen both mineral coal and slimy coal tar downstream of United Bulk, and watched as a river otter fed on blue crab in the anchorage of an array of barges. 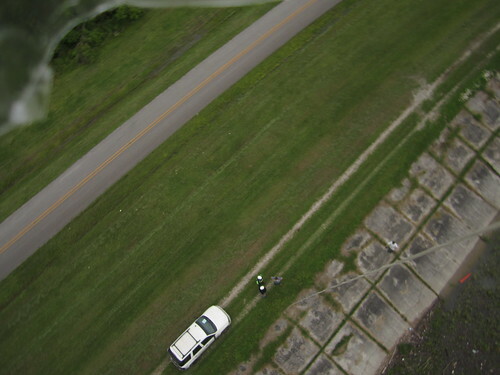 We walked the levee along the blackened river and flew a kite to gain perspective on the source of the discharges lazily spewing from a coal conveyor. 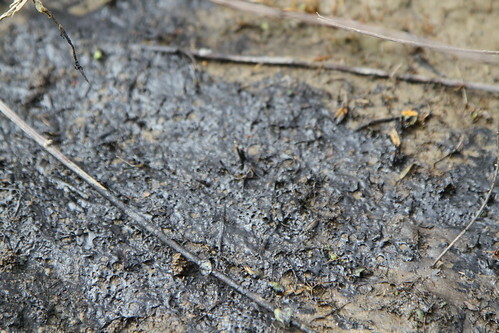 Click here to see how United Bulk is polluting the river with Coal and Petroleum Coke. Although a mystery to us from google earth photography,which is documenting the long-negligent practices of the terminal, the little pile of petroleum coke building up in the batture of the flooded riverbank was apparent from the kite photos. We've seen what waste these facilities can spread over the local landscape during storms; unfortunately, they pollute on calm days as well. Our public watchdogs shouldn't stand for this. Although we live in an area saturated with chemical plants, Petroleum Coke should still be considered a pollutant significant enough for the attention of the Coast Guard. United Bulk is not allowed to just let their waste into our river. When cleaning up the pile would only require simple mechanical fixes--like a cover on the conveyor belt, companies like United Bulk can easily do more to keep it clean. Sadly, it's up to us, the citizens ourselves, that must enforce the environmental laws. 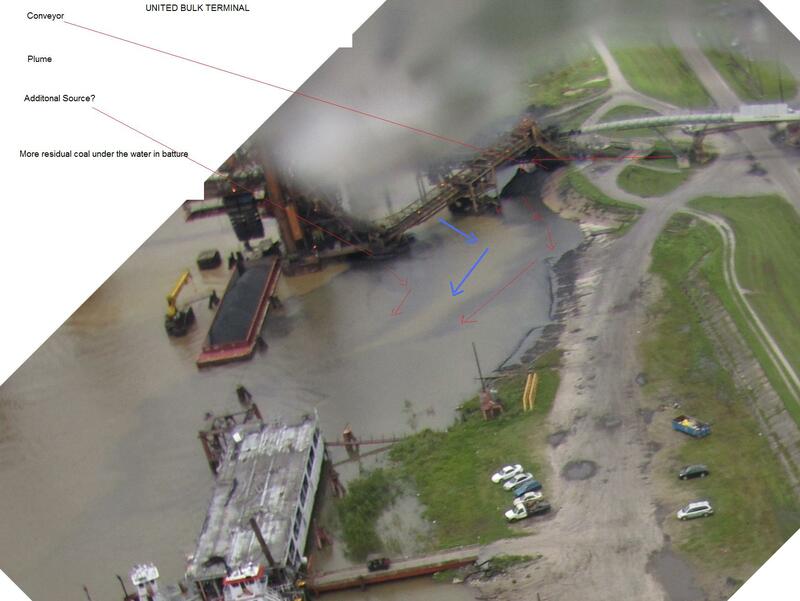 As of press time, we still haven't heard from DEQ on what is happening at this conveyor, and why it's so dirty. I'm still grateful for the tools and the time of the PublicLab community, who have shown me the way and given me the means to catch Big Coal messing up our waters. Although the plant manager doesn't like it, it's unquestionably legal to stand on public property and take photos of United Bulk's pollution. 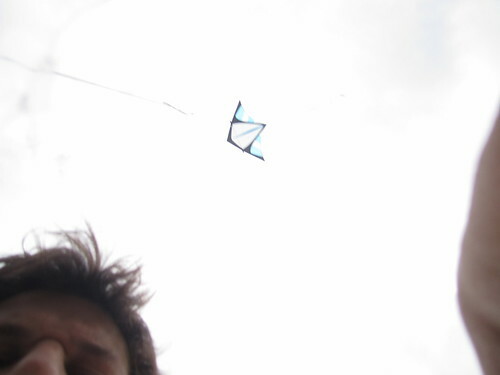 A photo of the kite used to catch United Bulk in the act.